Following a break during which we reportedly paid more attention to sending extra help on defense in practice, our defense did indeed look a bit amped up. We did look solid and gave Chicago a run for its money, but these adjustments seemingly hurt us more than helped us as the Bulls found cracks in our defense en route to a game where they posted an offensive rating of 103.8 (a defensive rating that would have us ranked as the 16th best defense). His complete commitment to help on the screener does come the moment the ball handler leaps for the pass so, perhaps, it was indeed by design. Either way his gamble failed. The third play in the video though definitely is Lance working as a freelance artist. All in all, it was an interesting game to watch as far as our defense is concerned. The way we used Al to help the power forward who’s fronting an opponent was definitely something new, but I honestly don’t feel like I can conclude what was the definite cause for the other highlighted mistakes without the ability of asking the coaching staff such questions. Perhaps, it wasn’t even us being more prepared after four days of practice or us planning ahead for Chicago. 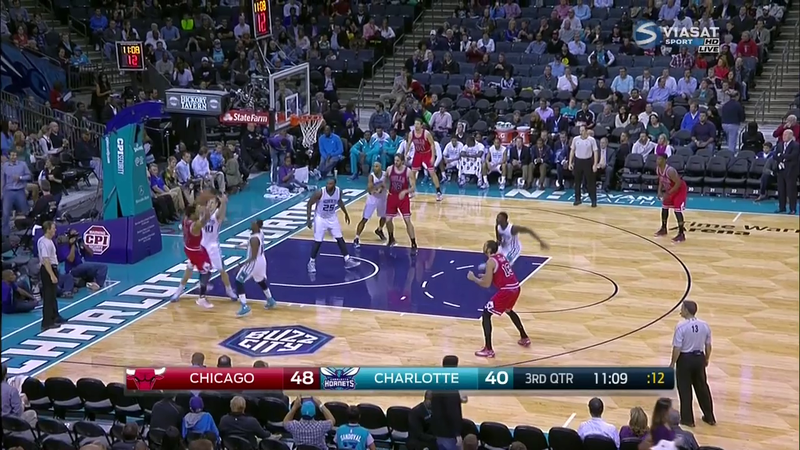 The Bulls might have simply caught us on certain possessions where our defenders got too out of place and I’m over-reacting by looking into these instances. Now, something that definitely was by design was us doubling Carmelo Anthony, the first such occasion this season, and after criticizing such an idea last week, I’m obliged to look back at this event. Clifford taking a time-out and switching Zeller for Marvin was what followed these two plays (for the record, I don’t feel like Cliff is to be blamed for this as it is a tricky match-up and a defensive coach is likely to react in such a manner after two straight baskets), however, I do believe this is an instance of having to write the story while the ball is in the air. Cody contested both of the jumpers darn well and was surprisingly close to Melo (the help defender being close obviously made this decision easier), seemingly not fazed by the possibility of Anthony driving past him. I wish we would have seen this match-up a bit more, given Zeller’s stretches of good perimeter defense this year. Was this all a master plan? Did Clifford go to this play repeatedly until one time the defense would fall for it when Al doesn’t set an actual pick? 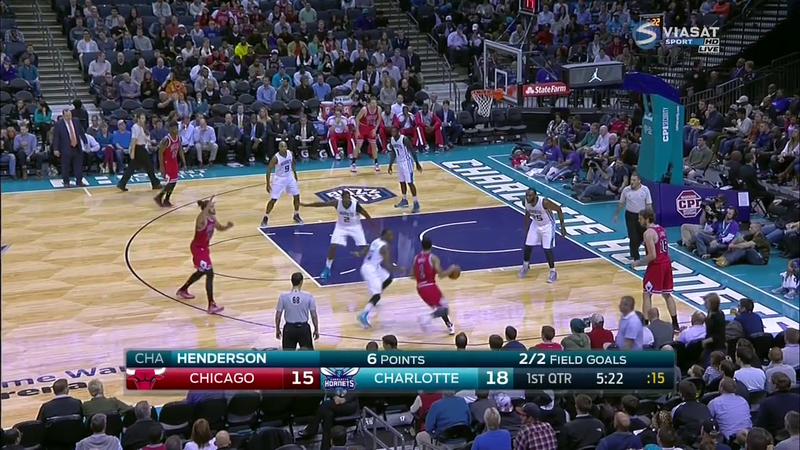 Is it something Kemba did on his own and attacked before Al set the screen? Or was there simply not enough time left for a real pick-n-roll that Clifford still would have drawn up? Perhaps, Amare just had a brain-fart and committed to a screen that he shouldn’t have paid attention to? The third game of the past week also produced a previously unseen look for us as we went to zone defense for five straight possessions. Even though it’s used rather sparingly in the NBA, I suppose that there is a certain appeal to us trying this as it could limit Jefferson’s defensive incapabilities. Being from Europe and having gone through our youth basketball system, NBA zone defenses usually make me cringe. I assume that with the AAU basketball culture reigning in the USA, very few of the guys have ever properly learned the zone. In my experience, talking and always finding a man to guard, instead of blindly stationing yourself in what supposedly is your zone of responsibility, is a cardinal rule for zone defenses. Some things just are certain. Michael Jordan is the greatest player ever, the Cunninlynguists are awesome and NBA zone defenses generally are bad. Very bad. An absolute like of the week. 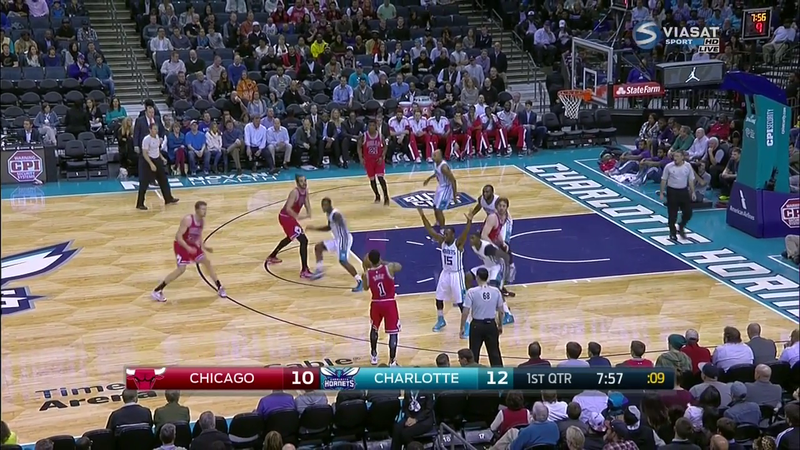 I enjoyed the way Kemba doesn’t stop his motion and instantly goes for the cut right by Al to execute the give-and-go. Much better than the casual version of floating the pass in and then wandering somewhere towards the paint with no sense of urgency at all that we do most of the time. I’m very glad to have Mike back. Bill Simmons: Do you have a theory [on our slow start]? Zach Lowe: … his demeanor has been awful. This is not like us from a thousand miles away saying this. I was there. People hate it there. It’s a real thing. The team is not thrilled with what they have got out of him, let’s put it that way. Now it’s hard to determine to what degree can the phrase “people hate it there” be applied to the overall mood of the locker-room and the team. For what it’s worth, Lance flailing his arms after not receiving the ball or a team-mate missing a shot off his assist is a regular occurrence. I didn’t need to dig in deep to find these. It’s something I can quickly look up and cut out of the two last games every time. And that’s not to mention him colliding with team-mates for rebounds from time to time or returning back on defense a second later than usual after he visibly wanted to get the ball, yet didn’t receive it. But the way Lowe (who visited our team and watched two games in Charlotte earlier on in the season) expressed the situation around Lance makes it sound very frightening. Is it just that Stephenson has regularly showed up his team-mates on the court or is there something more to this? Did it only take him a month for some guys to dislike him? And who are the people in question who “hate it here”? I really don’t like the sound of this. The doubling of Melo might have been motivated by the fact that they knew what he did last season with singls coverage on an extremely good defender on him in MKG for most of the game. I have no idea why Fisher put out a lineup including Prigioni, Hardaway Jr and Stoudamire. Considering Kemba isn’t a ‘big’ guard I think Larkin would have been the better bet. Shumpert (inconsistent he may be) and Dalembert at least have a reputation of being defenders, even if they don’t always live up to them. The way Stoudamire plods up to try and meet Kemba reminds me of a slow motion version of LeBron’s gamewinner in the Conference Finals a year ago when Paul George overplayed it and LeBron had an easy lane to the basket. Since when did A’mare get into the game with a team needing a stop to win anyway? I didn’t think of that, it definitely reminds you of that play. Yeah, that line-up didn’t make a ton of sense. Heck, you could even put Shumpert on Kemba knowing that we always go to him and that Iman’s size could bother Walker if he opted for a wild mid-range jumper again. This entry was posted on December 11, 2014 by ReinisLacis in Charlotte Hornets blog and tagged Kemba Walker, Lance Stephenson, Michael Kidd-Gilchrist, Steve Clifford, Zone Defense.